Q. What’ s the big deal with mold? Isn’t it everywhere? A. Some types of mold, fungi and other contaminants – referred to collectively as “microbial growth” – are toxic. They emit dangerous mycotoxins. These contaminants can cause respiratory distress, allergies, skin rash and irritations, eye and mucous membrane discomfort and may exacerbate symptom of asthma and other life-threatening conditions. Q. How do I recognize a mold problem? Q. Can’t I just get out the bleach and scrub moldy spots? A. Chlorine bleach is not recommended for cleaning mold and other microbial groth. First, it is not possible to thoroughly sterilize any indoor area because mold spores will be present in the air. Spores spread quickly when surface mold is disturbed. If you manage to kill mold with bleach, you may still have a problem – many people are allergic to dead mold. Q. How do I get rid of mold then? A. MicroCleaning can take one day or much longer, depending upon the size of the project. Advanced MicroClean will survey your property, provide a detailed estimate, and deliver results within an timeframe that is estimated in advance. Mold can be killed in 24 hours. Cleaning the environment and restoring it to a healthy state takes longer. Q. What about Chinese drywall? A. Chinese drywall issues continue to be litigated, but the consensus is clear: Chinese drywall can make you sick. Protocols for remediation – removal or resolution – have not yet been established by oversight agencies. The only certain solution is to remove all tainted drywall from your home or office and follow with thorough MicroCleaning of all porous surfaces. Q. Why Should I Choose Advanced MicroClean to Solve My Mold Problem? Our team of experts understand their field and draw on the full range of knowledge essential to successfully completing your project. We excel in understanding your needs and provide solutions to move your project forward. We pride ourselves in our ability to provide quick response time, excellent customer service and quality of work second to none. Advanced MicroClean will answer your call day or night, weekends and holidays. 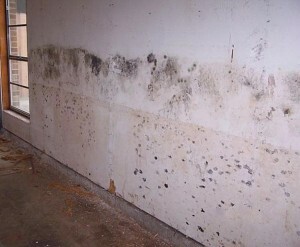 Call (954) 931-8154 now or fill out the form on this page to get rid of your mold problem. We Respect Your Privacy and Will Only Contact You About Your Mold Testing or Removal Needs. No Information is Rented or Sold.